Recovery Company and get cleaned up fast! See How JCG Can Help You! Our priority is to get your life back to normal as quickly as possible - without all the red tape. Serving Commercial & Residential Customers in MI since 2001. Every member of the JCG crew puts integrity and honesty into every project. It's what sets us apart from other restoration companies. Our team of experienced professionals is dedicated to quality work and timely job-scheduling, assuring you will be back into your home or business quickly and with the absolute best quality of workmanship. 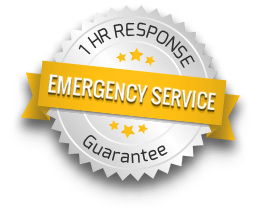 JCG Disaster Restoration is a licensed construction company and is current with the bonds and insurance needed to protect our employees and your property from the unexpected. That's just one of the reasons more homeowners trust JCG to bring their property back to pre-disaster condition (or better!) We've been serving homeowners in the Oakland, Wayne, Macomb, and Genesee counties for over 15 years. When your home is partially or fully destroyed by water, you need the expertise of a disaster restoration company that specializes in water damage restoration. We'll get your property dried out, cleaned up, and ready to use again with as little disruption to your everyday life as possible. We'll even work with your insurance adjuster to help ensure your claim is processed without a lot of back and forth. 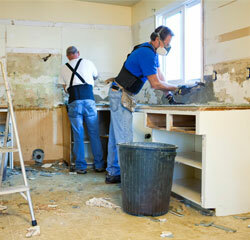 We Help Michigan Homeowners Recover From These Disasters and More! We move water out - before mold moves in! Call (888) 468-4JCG and get cleaned up quick! The contents of this webpage are Copyright © 2019 JCG Disaster Restoration Contractors. All Rights Reserved.